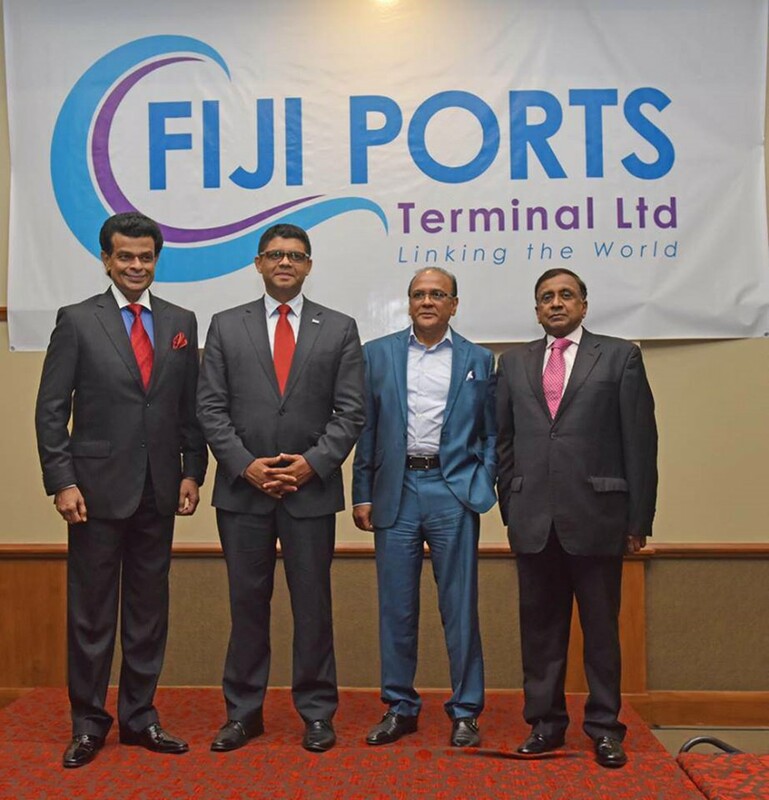 Aitken Spence-run Ports Terminal Limited which operates Fiji’s two main ports has been rebranded as Fiji Ports recently at an event attended by senior government and Aitken Spence officials. Minister of Finance and Public Enterprise Aiyaz Sayed-Khaiyum who attended the launch commended the efforts by Aitken Spence PLC in honouring the partnership with the Fiji Government by improving services and operations at the two major ports in the country. Aitken Spence entered into a public-private partnership with Fiji Ports Corporation acquiring 51 per cent of the shares in Ports Terminal Limited in 2013 to oversee the repair and operation of the ports of Suva and Lautoka. Deputy Chairman and Managing Director of Aitken Spence PLC J M S Brito and Chairman & CEO of Aitken Spence Maritime & Logistics Dr. Parakrama Dissanayake attended the launch. “It has been a wonderful partnership, it has been a wonderful collaboration which has the levy that had been charged on containers coming into Fiji being lifted now which not only has financial benefits for exporters but also for importers”, said the Minister of Finance and Public Enterprise Aiyaz Sayed-Khaiyum. “It also came as Government’s faith in Aitken Spence PLC, through the Public-Private-Partnership continues to be vindicated. Enormous achievements have been made by this management company”, he added. Deputy Chairman and Managing Director of Aitken Spence PLC, J M S Brito said, “We are pleased to show significant positive results to the Government of Fiji since our investment in the ports of Suva and Lautoka. We are exploring investment opportunities in hotels, power generation, printing and other sectors where we have decades-long experience and expertise”. Aitken Spence Maritime & Logistics Chairman & CEO and Director of Aitken Spence PLC Dr. Parakrama Dissanayake speaking at the launch reiterated company’s commitment to stakeholders present at the event. “When you have the right product, we can launch a marketing campaign to boost volumes thereby attracting new shipping lines. And when you have more shipping lines, you will have more capacity and when you have more capacity, the freight rates are bound to go low. This would boost exports and imports and generate more employment and enable Fiji to become the hub of the South Pacific”, said Dr. Dissanayake. “In Sri Lanka, we say port is the heart of the nation. And when you have an efficient port blessed with the right location like Fiji’s, you would establish not only a maritime hub but also aviation and a logistics hub”, he added. 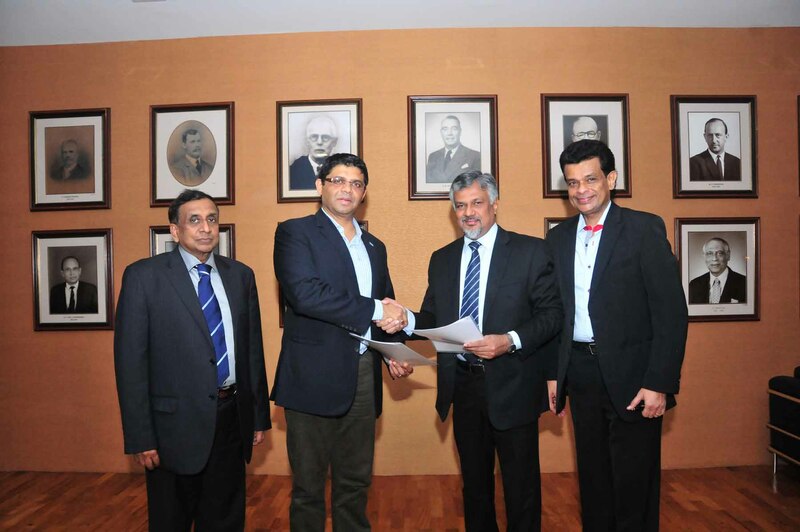 Aitken Spence PLC is among Sri Lanka’s most dynamic and respected corporate entities with operations in South Asia, the Middle East, Africa and the South Pacific. Listed in the CSE since 1983, it has major interests in hotels, travel, maritime services, logistics and power generation. The group also has a significant presence in plantations, printing, garments, financial services, insurance and information technology.